Seg. 1: KC Public Theatre + Playwright Lindsay Adams. Seg. 2: Natasha El-Scari. Seg. 3: Mundo Nouvo. Segment 1: A new group wants to make theater accessible to everyone. What if you could see a play for free in a non-traditional venue? Well, now you can. The Kansas City Public Theatre kicks off its first season this fall, but it's already staging some monthly readings at a local bar. We talk with its executive artistic director and a playwright, whose work will be performed on Monday. Kansas City, Mo. 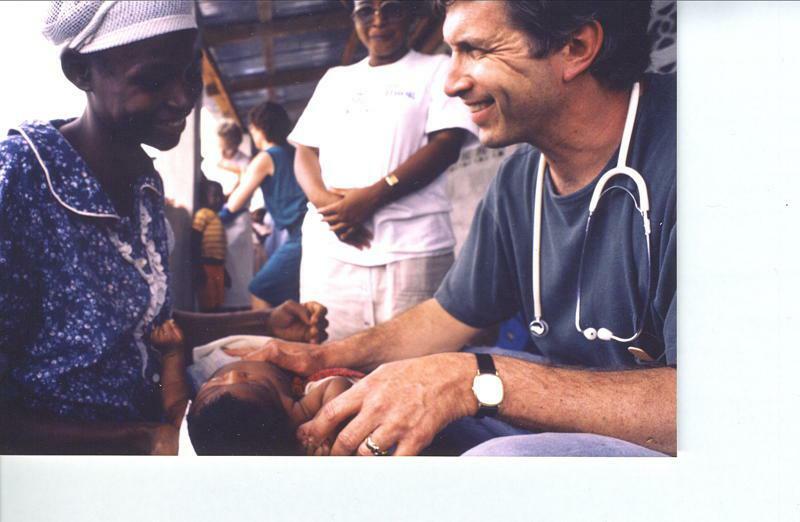 – Local pediatrician Frank Vaughters was on a medical mission in Haiti when the massive earthquake struck the country in January. After weeks of uncertainty, friends and family received word that his remains have been found. His sister, Lucy Vaughters, says the news has brought some welcomed relief. "There's some kind of feeling of finality," Vaughters says. "And the truth is a good thing, even though the truth is awful in this case." Amanda and Natasha Rae Taylor, with their friend Jean Junior Javin. In Amanda's arms is her newly adopted son, Isaac. Photo by Sylvia Maria Gross / KCUR. Kansas City, Mo. – Two and a half months after an earthquake devastated Haiti, many people around that country, and the US, found their lives were changed by the disaster. Sisters Natasha Rae and Amanda Taylor are originally from Stilwell, Kansas. They've made regular mission trips to Haiti over the past 8 years, and were both there, together, when the earthquake hit.